PDF is a file format established by Adobe which can include text, pictures and graphics. The problem with PDF files is that they cannot be freely edited in their original form, like other file formats such as a Word doc can. There are times when users may need to copy or edit the data in a PDF file. This is difficult unless you convert data into another format, like Excel. It’s not always an easy task to convert PDF files to Excel format while retaining high quality. In these cases, it is suggested that you choose the appropriate PDF to Excel converter open source software that is adaptable, affordable, and feature-rich. 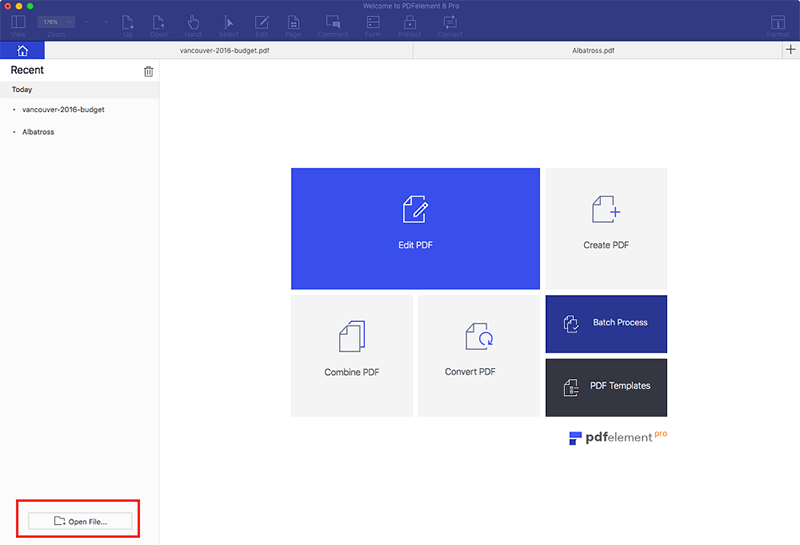 In this article we’ve provided a list of PDF to Excel open source converters that will help resolve your PDF editing issues. So, if you are searching for an open source PDF to Excel converter, read through this article to discover details about top 5 PDF to Excel open source software tools currently on the market. There are numerous tools available on the market that claim to be the best for converting your PDF files to Excel sheets quickly and conveniently. However, not all of them work as well as others. Each one caters to different needs. 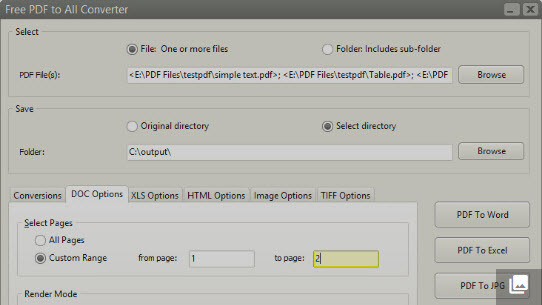 To clear up some confusion, we’ve hand-picked the 5 best open source PDF to Excel converters. These PDF to Excel converters allow you to convert PDF files to XLS or XLSX format easily. They are also all available for free. Free PDF to Excel Converter is a very handy and versatile program which can be used to convert a PDF file to MS Excel. It also supports batch conversion which means you can convert multiple PDF files into Excel format at once. It supports XLSX (2007-2013) as well as XLS (97-2003) formats in addition to CSV. Click on the "Add PDF" or "Add Folder" button on the toolbar. After adding your files to the list, click on the "Convert" button to begin the conversion process. It provides you with the option to combine all PDF files into a single Excel file as an additional benefit. Convert PDF to the Excel is a type of free PDF conversion software that lets you transform your PDF documents into CSV format, which can be easily opened with MS Excel. . Click on the "Add File" button and choose multiple files if needed. The system will display the entire list of all the files to be converted. Now click on the "Start" button at the bottom right of the interface to start the process. You can select the "Open Folder after Complete" option to open the output folder to view the converted files after they’ve been converted. Convert PDF to Excel with basic, easy-to-use features that don’t require a lot of time or effort. Multi conversion process available with fast conversion facility. The in-built features and unique options make it tough to learn for beginners or even more advanced users. Blue Fox Free PDF to Excel Converter is yet another versatile tool that converts PDF files into Excel format easily. Every page of the source PDF file is converted into a separate excel sheet. Start the program and click on "Add File(s)". Now choose the file from your device to add it to the list. 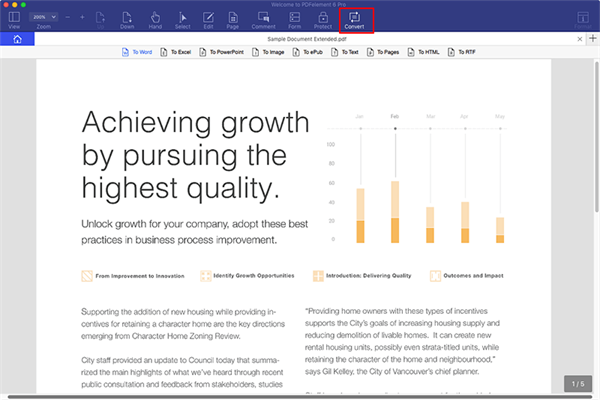 Click the "PDF to Excel" button on the toolbar to begin the conversion. Simple interface makes it easy to use for the users. This tool can convert PDFs with selectable text only. In an Excel sheet, the data is stored in cells. In a scanned PDF that is converted into MS Excel, you may need to extract the text. That is where GT Text helps you. Open GT Text and click on "Capture Screen Image" to screenshot the GT Text screen. Then click and drag your mouse across the column with the text you want to extract. You can use the GT Text window to capture text data. Can be used as a free PDF reader. It is slow and tedious to manually extract all data using this method. The response time is slow. Free PDF to All Converter is another free and user friendly PDF to XLS converter. This tool can easily convert searchable PDF files into MS Excel files. Just click on the "Add PDFs" button on the toolbar. Select the PDF file you want to convert by browsing your device. Click on "All Pages" or set the range of page you need to convert. Then click on the "OK" button to add the file to the list. After finishing the upload, select the "Output Folder" and click on "Convert Now". The biggest benefit is that the output file maintains the original formatting of the source file. You will be required to repeat steps for each file. PDFelement ProPDFelement Pro is among the best PDF to Excel converter tools currently on the market. It is a complete PC software which offers you a broad spectrum of unique features that can be used to alter your PDF files without much effort. Step 1: Download and install PDFelement Pro on your computer. Step 2: Drag and drop your PDF files into the program window, or click on "Open File" to import the PDF file into the PDF converter. Step 3: Click on the "Convert" button and choose the "To Excel" option to convert PDF to Excel. PDFelement ProPDFelement Pro has an aesthetically pleasing and extremely user friendly interface. It is loaded with a wide range of advanced features, and is appropriate for professionals as well as beginners and personal users. All you need to do is to import files into the program window and then start freely modifying them. Offers the ability to convert PDF files to a broad range of other output formats like DOCX, DOC, XLS, BMP, GIF. You can edit or insert text and images, insert links, etc. Additionally, you can implant watermarks, modify the background, add check-boxes or radio buttons, electronic signatures, or password- protect your PDF files. This tool performs conversion quickly without any errors and it also doesn’t consume a lot of CPU space. Add stamps to PDF files. Edit text for publication purposes.